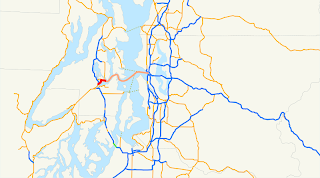 Late in the afternoon on June 21, 2014, we drove Washington State Route 304 across Bremerton and across Puget Sound. 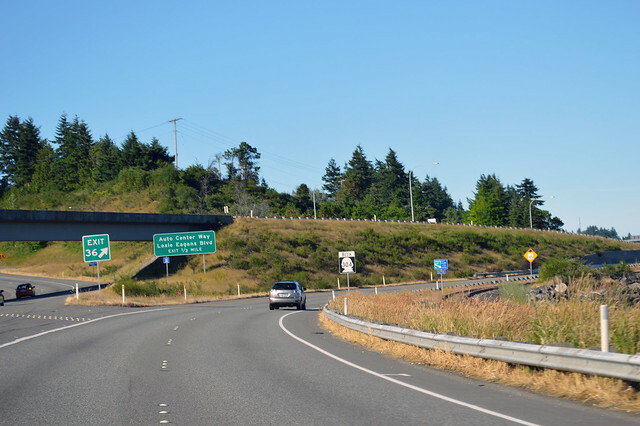 Along the shores of Sinclair Inlet, SR 304 begins as an off-ramp from SR 3. 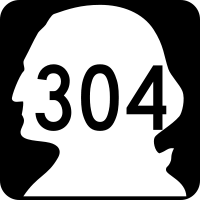 Highway 304 then proceeds along the old route of Highway 3, from before the bypass was built in the 1970s, past the Navy yard and the mothballed aircraft carriers, and then turns north into Bremerton. There's a big Bremerton sign and everything. 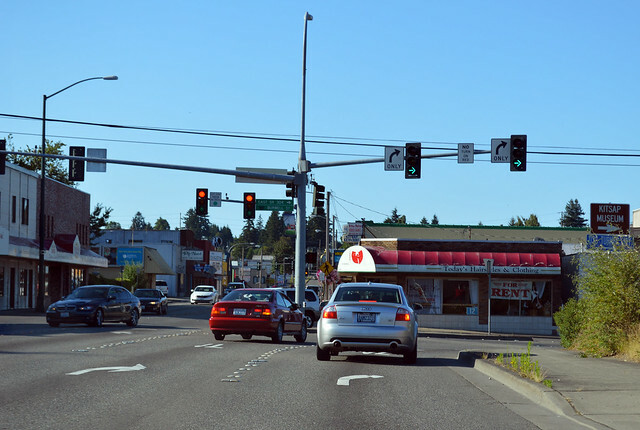 At Burwell Street, SR 304 turns east again while SR 310 takes over the old Highway 3 path straight ahead. SR 304 used to be parallel, three blocks north on 6th Street, but here we are on Burwell. Big, wide, 25-mph street. 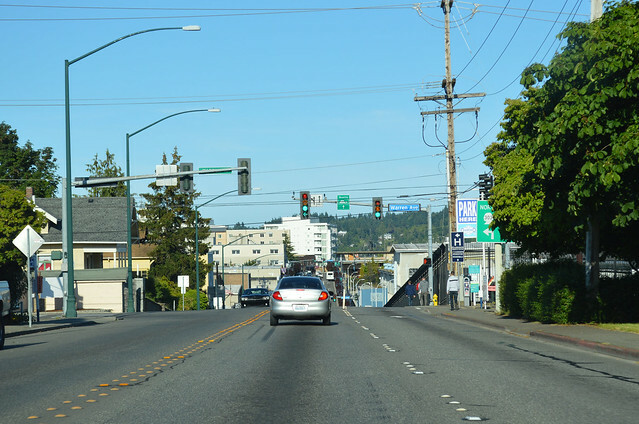 Up and over the hill through Bremerton to this intersection with SR 303, with the only sign hidden behind a tree. Shortly, we reached the ferry terminal, paid our fee, and got in lane 4, twenty minutes before the next sailing. Here we waited. 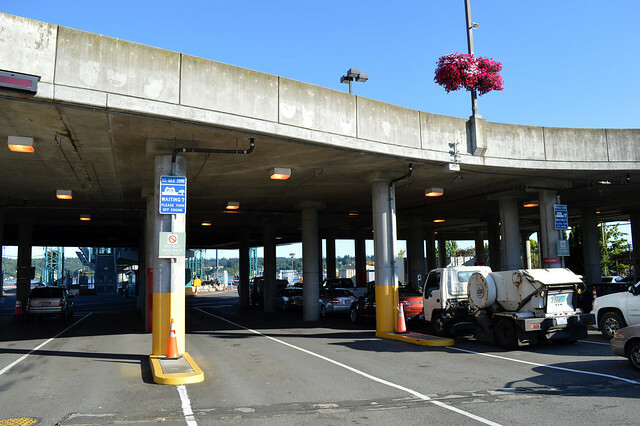 The structure above is the passenger drop-off/pick-up road. The Walla Walla ferry arrived, disgorged numerous vehicles, and we drove on. 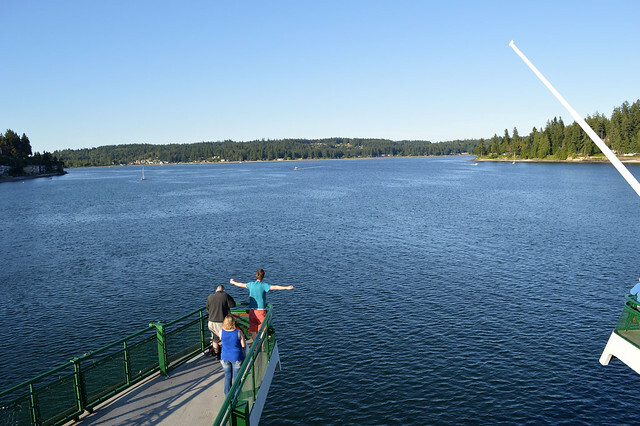 It's too bad we didn't catch the previous sailing, because that would have been the Kitsap ferry, which would have been appropriate, no? But away we went, out onto Puget Sound, only a few minutes late. 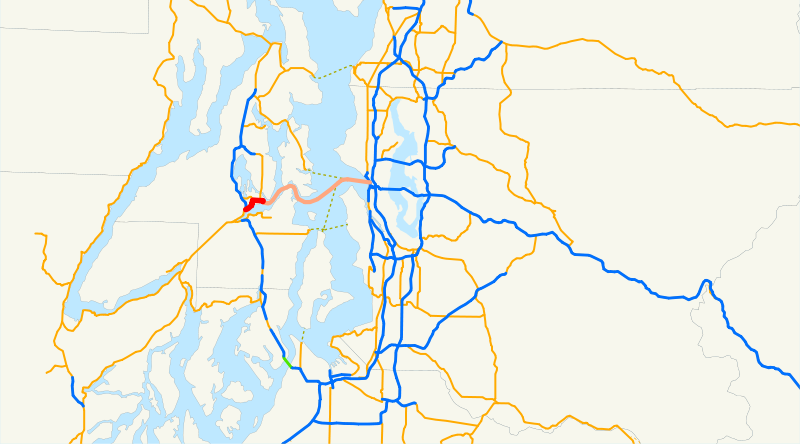 The body of water here is called Port Orchard, not to be confused with the city named after the water, on its south shore. Halfway between when we arrived at the Bremerton dock and when we should arrive in Seattle, I took this photo. We're about to enter Rich Passage, Kitsap Peninsula to the right and Bainbridge Island to the left (and straight ahead). Kids race around laughing. The wind buffets me and tries to rip the lens cap from my hand. Beautiful sunny day on the water. We zig-zagged through Rich Passage and zoomed out into Puget Sound proper. Mount Rainier said "hi" from the south. The skyscrapers of downtown Seattle were already visible ahead, over Alki. Blue sky, blue water. Boys played Magic at the next table. Christina took a nap. A man told me we have to live every day as if it's our last. Breathe in those precious molecules! Experience the glorious world! We arrived in Seattle late in the afternoon, early in the evening, the sun glittering off the glazing and water both. 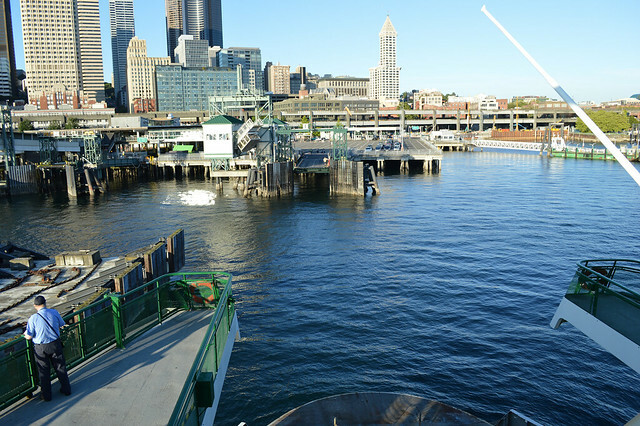 I snapped a few pictures as we approached the dock, which is technically a junction with SR 519 and SR 305, even if it doesn't look like it or is signed like it, then I hurried below decks to our car. We drove off the boat and Highway 304 was done.